I have done a disproportionate amount of complaining about Long Island here on this blog. But today, I need to honor the one thing I honestly love about living here....and that is being near a shore bird habitat. The first summer we were here, we bought two kayaks. I have not had near the opportunity to use mine that I would have hoped. It's too heavy for me to manage on and off the top of my van alone. And, while Aaron goes out often....he prefers to go out mid day when the intensity of the sun is at its worst. Being a blue eyed blonde, I have no business out in the burning rays. Even covered in liquid shirt (never sunscreen rated below SPF55), I still break out in hives. So, my kayak excursions have been limited. 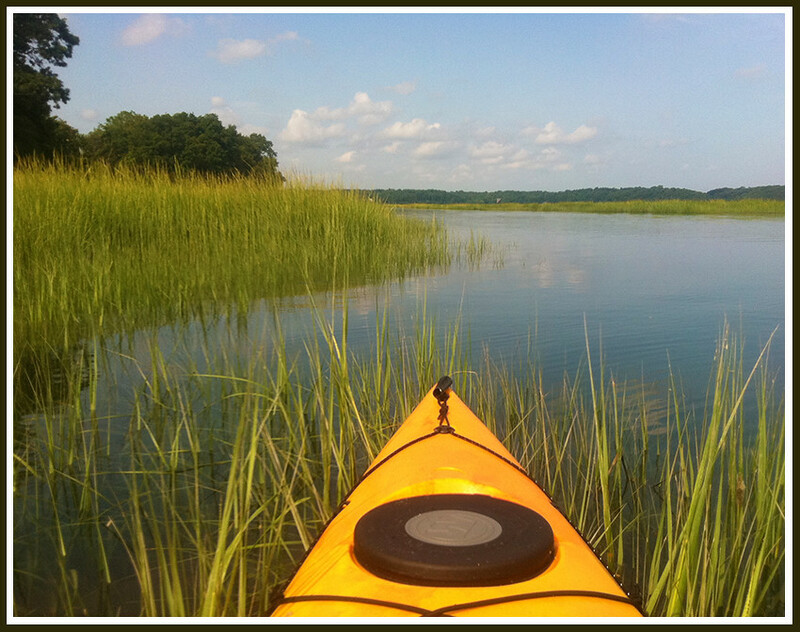 But this week, I was able to arrange to store my kayak at a boatyard at the harbor just a mile from my house. It's easy to drag the boat from the rack to the shore so now, I am finally free to enjoy the water and the birds at the time of day that is best for me. Our harbor is beautiful and filled with a huge variety of birds. This little map shows my launch point (x marks the spot), and the island in the harbor that is habitat for herons, egrets, terns, skimmers, oystercatchers, all kind of sandpipers, plovers and more! A little planning with the tides and it's an easy paddle around the island where I can get close to shore to photograph all my feathered friends. 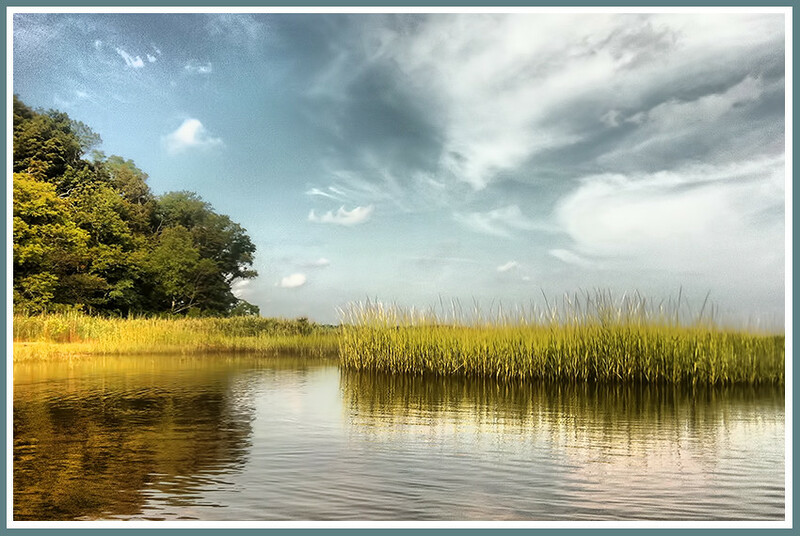 And there is something so peaceful in paddling through the wetlands, surrounded by thickets of grass. It feels like a big adventure right in my backyard. I'm posting photos of the birds from our harbor on my photoblog. For an ongoing birders tour of my little corner of the world, please visit me there! The photos look wonderfully peaceful and inviting. I'm delighted that you're able to find some good things in Long Island. Heck, I've been in Texas for thirteen years and have not found ONE good thing about it yet!!! Such beautiful photos Kat! As always, I should add! You have such a gift for this. truly a peaceful gift to your soul! gorgeous pics! I had you picked as the winner of Picture this for September. I thought your tiny aster photo was etereal and gorgeous, as are all the other landscape photos you have around here. A real talent and great skill.